"And the vision that was planted in my brain, still remains within the sound of silence." The vision is planted within their brains and they cannot escape it unless they are shown the way out. The sights, sounds and scents of war stay with them even though they may be shoveling snow, driving a truck, walking the dog or simply watching TV. It is time for us to end the sound of suffering in outward silence while they are linger in hellish longing for peace. 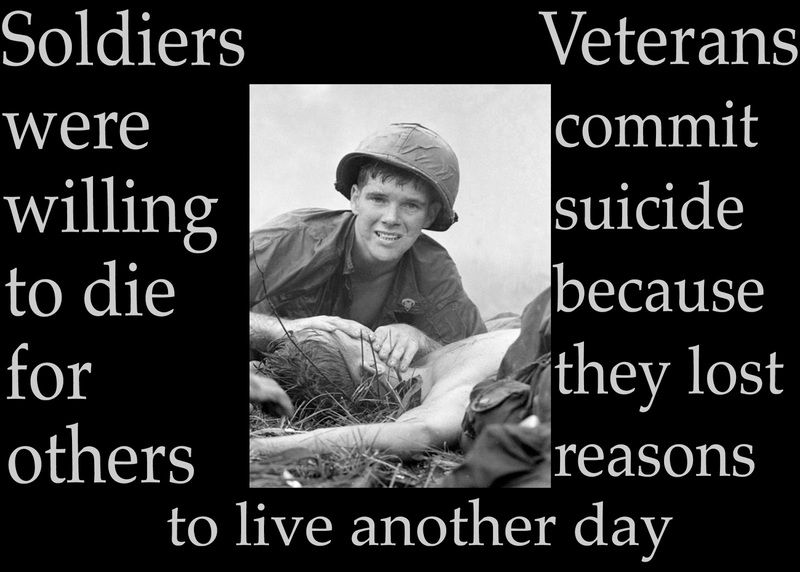 They can have peace on earth within their own soul if we help them to see all that was good within them even in war. The times they shed a tear, said a prayer, reached their arm around a buddy because he needed it. The time they cried for a child they saw or stood in silence as a flag was placed over the body of someone they served with. 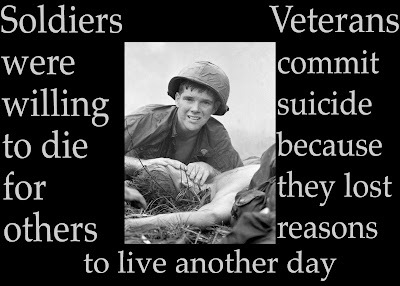 Help them to see that all they endured was due to their tremendous ability to love enough to be willing to die for each other. Help them to know that last, lingering image trapped in their mind was not all their was. That the fact they grieve came from their tremendous ability to love that deeply. Time for all of us to stop talking about what we think we may know about what they are going through and start listening to what they have to say. Disturb the silence and help them hear why you think they are worthy to heal.